Peugeot expects a fresh, SUV look will help 3008 sales in China. PARIS -- Peugeot expects the new SUV styling of its latest 3008 will give the model a sales boost in China. The upcoming 3008 has a radical new design compared with the current model so it now looks like an SUV/crossover instead of a high-riding station wagon/minivan. The brand expects the fresh look to help the model benefit from booming sales of such models globally including China. CEO Maxime Picat said the design reflects what customers want on a global scale. He said the 3008’s sales in China will be “significant” without being more specific. Europe likely will remain the 3008’s biggest market, though the entry of new rivals into the compact SUV/crossover segment such as the Renault Kadjar means it faces tough completion. IHS Automotive predicts that European sales on the new 3008 will peak at 135,300 during 2017, up from the current model's high of 117,635 units in 2010. This would make the 3008 the region's third best-selling compact SUV after Volkswagen Tiguan and the Nissan Qashqai, IHS said. “This second generation will help Peugeot to build on the foundations of growth that have been set in recent times in what remains a significant category,” said IHS Automotive analyst Ian Fletcher. The new 3008 is the latest PSA Group model to be based on the automaker's EMP2 architecture after the Peugeot 308 compact hatchback and Citroen C4 Picasso compact minivan. “We drew much upon the improvements we made from the 2008 [subcompact hatchback] and 308 for quality, design, fuel efficiency and driving performance, and took all of this to another level with the 3008,” Picat said at a press event to unveil the model. Peugeot parent PSA Group has allocated more than 100,000 units of annual capacity for the 3008 at its factory in Sochaux, France, according to analyst firm Inovev. The factory will also build a crossover-styled sister model for Opel/Vauxhall to replace the Zafira minivan as part of an industrial partnership between PSA and Opel parent General Motors. An additional 50,000 units of capacity is planned for the Opel model, Inovev said. The 3008 will have its public debut at the Paris auto show on September 29 and will go on sale in the Europe soon after. The new 3008 also will be produced at PSA’s new joint venture factory in Chengdu, China, a Peugeot spokesman said. 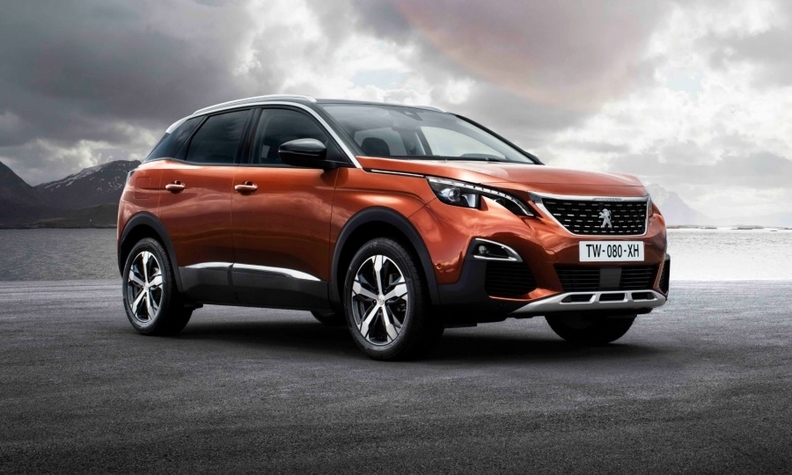 Peugeot will sell two 3008 versions in China: the new generation 3008 and a refreshed 3008 shown at the Beijing auto show earlier this year.